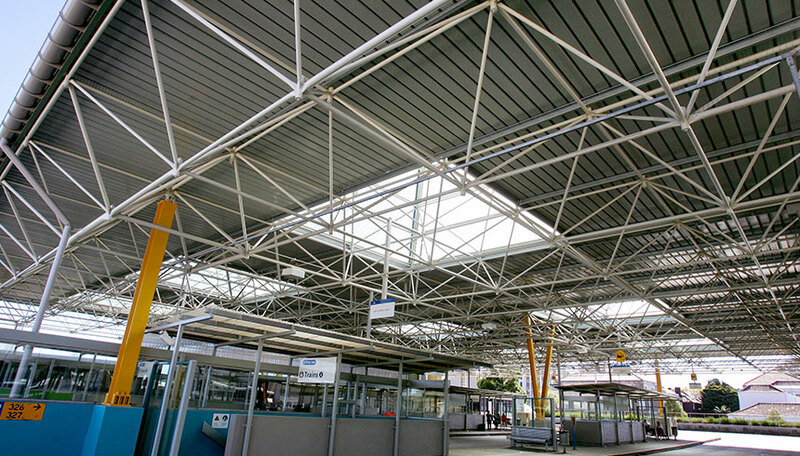 Degnan were required to upgrade the Edgecliffe Bus Interchange which involved the strengthening, refurbishing and painting of the existing space frame roof structure. This required a survey of the roof structure itself to identify any corroded or damaged sections of the frame. In addition to the refurbishment of the space frame, the contract also involved the removal and replacement of the roof sheeting, guttering and downpipes, associated fascias and flashings, TV Satellite dishes and bird proofing. The new facilities have been welcomed by the community who are protected from all weather conditions by the expansive roof while safely using the interchange.